At our school, we wear it pink to make an IMPACT! 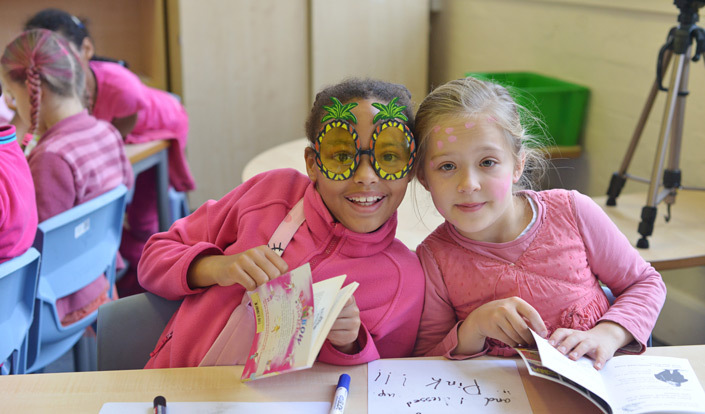 Lizzie, a student at La Fontaine Primary Academy tells us why taking part in wear it pink is so important to them and how their hard work each year makes such an IMPACT! Why do you wear it pink at school? At La Fontaine Academy wear it pink is something we do every year. We get excited about it weeks in advance and talk about it weeks afterwards! It’s part of who we are. Our pink day is something which is relevant to all of us. Pink day is actually quite a special day not only because it is a day during which we raise awareness about breast cancer, but also because it actually helps raise thousands for Breast Cancer Now. It’s also a day when you see your friends smile and how creative they can be! Lots of pink wigs, pink costumes and pink glasses. Our school is about IMPACT and raising money in such a fun way helps us feel good about ourselves. The best part of the day was seeing everyone come and be so creative. It was also about seeing the amount of respect everyone has towards people suffering from cancer. Wear it pink day isn’t just a day for us to have fun, it is a day for us to reflect on how we can beat cancer. Are you excited for this year? Wear it pink day might be one of your most amazing and memorable days in your life: IT’S A DAY FOR CHAMPIONS! Inspired to wear it pink in support of breast cancer research?